Peter Hutchinson makes probably the best down gear in the world and his Xero jacket has kept me happy (well as much as you can expect to be) deep into the minus 40 degrees. With box-walls, expedition-style pockets inside and out, a voluminous hood and many other features, the Xero Down Jacket has full expedition capability at minimal weight and packed size. 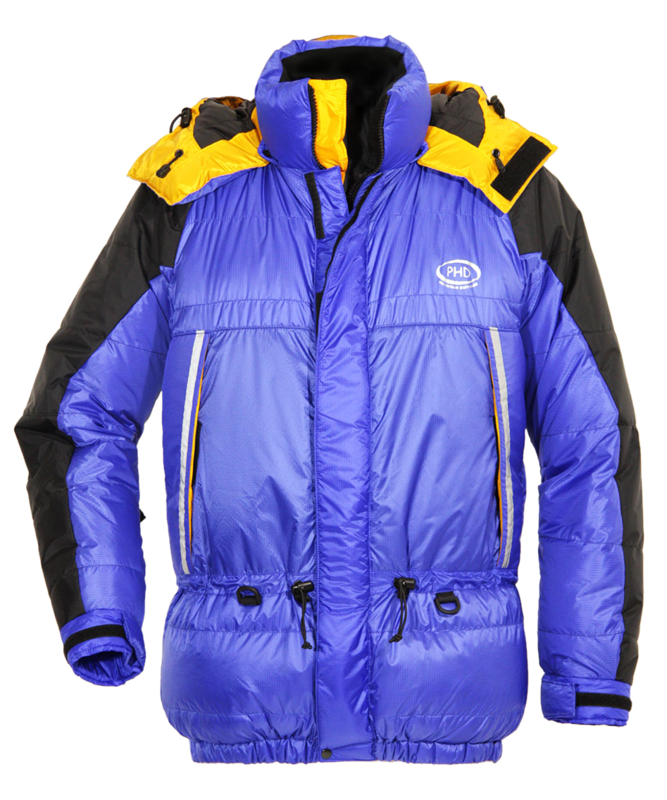 Designed to provide exactly what is required on rapid high altitude ascents or lightweight arctic travel for expeditions. Suitable for those who are opting for the versatility of separate down garments over one piece suits. 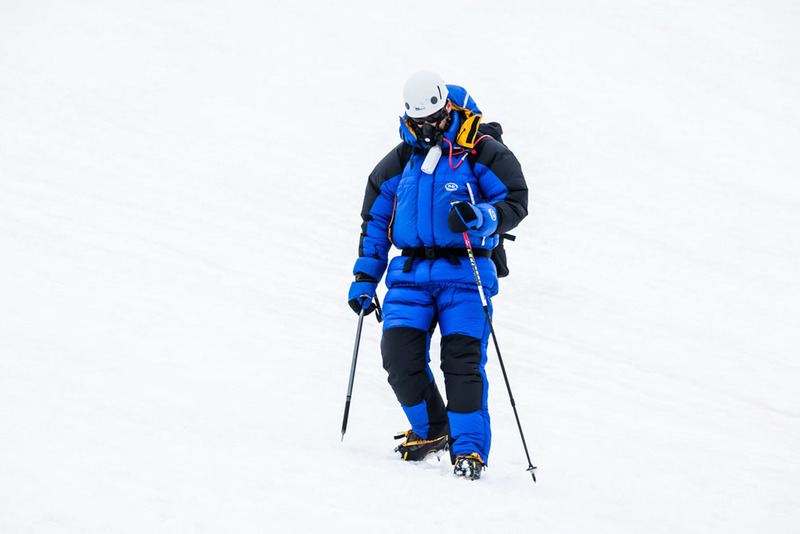 Insulation level is similar to the Xero Down Suit. As used by Nick Lewis, Rosie Stancer, the EverestMax team, Aberdeen Mountain Rescue, and many others. "My Xero Jacket was back out in force this summer on two trips to Mt Elbrus. 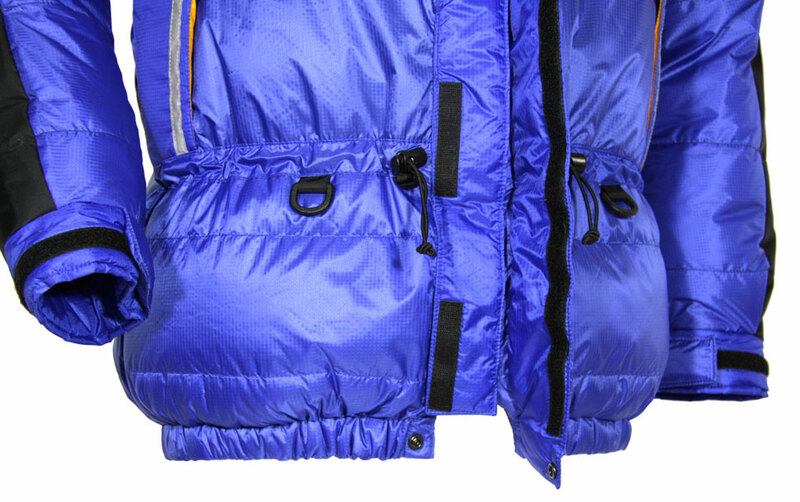 It performed superbly and kept me toasty warm despite the conditions." 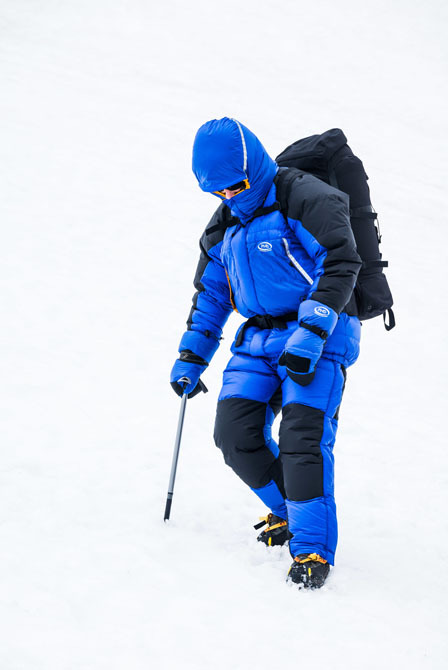 "Just a quick note to thank you for the timely supply of the PHD down gear before my Mt Vinson trip. The gear was absolutely first class. I used the Xero 900 down jacket on our summit day which was -26C with a 30-40 knot wind and they were faultless." 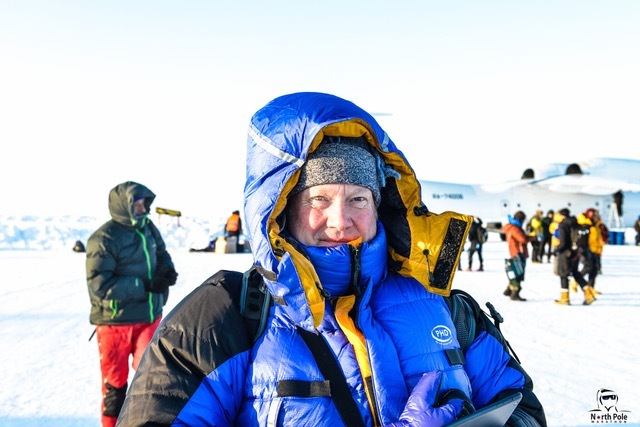 "I've just returned from Vinson in Antarctica where your Xero down jacket made life a breeze." 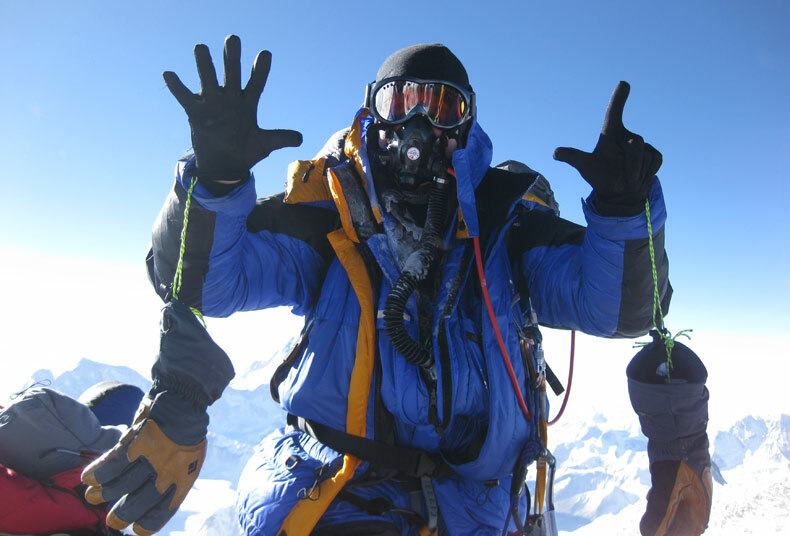 "Just a quick note to let you know that ALL 5 members of our team reached the Summit of Cho Oyo (8201m). 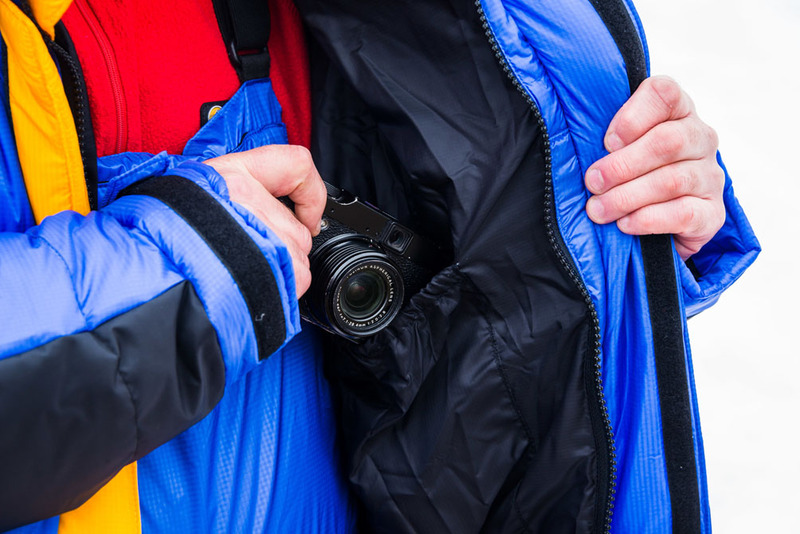 Another member of the team wore [your] Xero Down Jacket and ... was comfortable and impressed. Thanks for the great gear." — 'Lanx', Equipment buyer, UK Reserve Forces Seven Summits team. "The Xero jacket was perfect for summit day where we had a combination of -25C and 20 knot winds and the thigh-length design meant that I never needed to wear the Xero trousers. 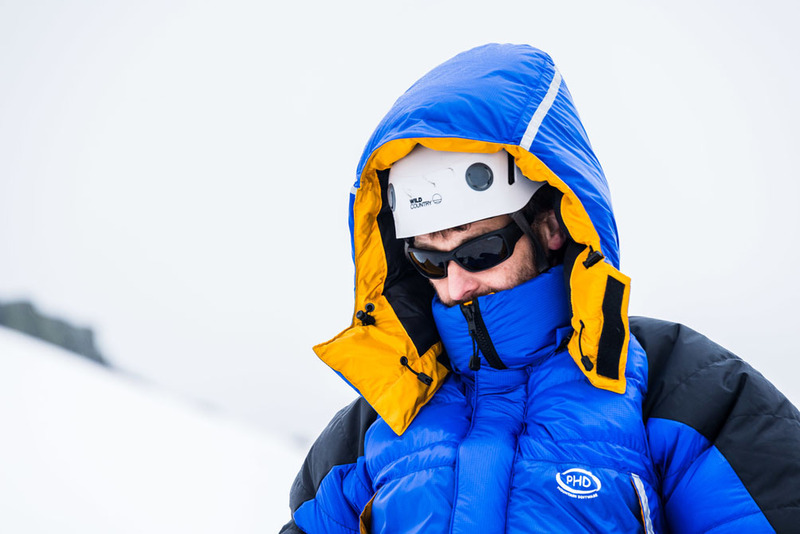 It is the best down jacket I've ever used." — Nick Lewis, Antarctic Logistics and Expeditions. "Just to let you know I have recently returned from the North Pole Marathon, and the Geographical North Pole 90n and the PHD jacket and salopettes performed very well, in temperatures down to -41°C, -55°C with windchill." 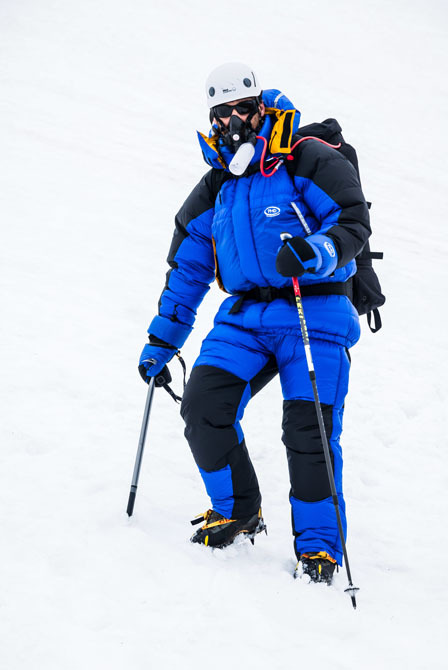 "Very happy to report that the Xero Jacket performed fantastically and kept us warm and safe especially during summit day where temperatures dropped below -30 deg C."
— Robert Gatt, Challenge8000, on Cho Oyu. 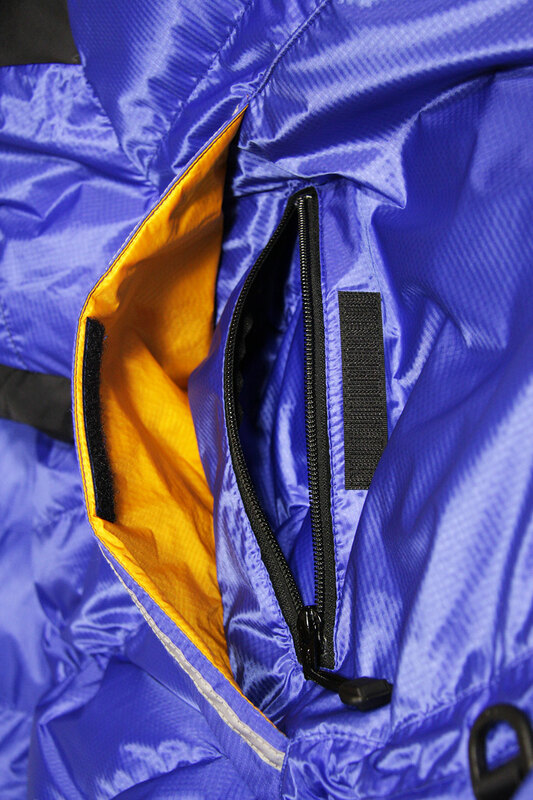 "Just a short note to thank you for making my Xero down jacket in super quick time. I am over the moon with it. What a pleasure to buy from committed experts. Never again the usual naff US brands where everyone knows they are made to far eastern specifications, in other words as cheaply as possible. I am still grinning." 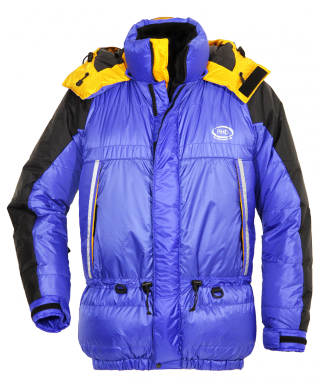 "Many thanks for the Xero Jacket for Cho Oyu which worked very well."